Anyway, I took the day off of work, from my 'day job', and ventured there with my mom. I can't tell you how AWESOME it was to actually see it and get to shoot a few hoops in the process! It was as cool as I thought it would be! The kind fella who showed us around was so gracious to tell us some awesome little facts and take a few photos for us too! So here are a few for you! 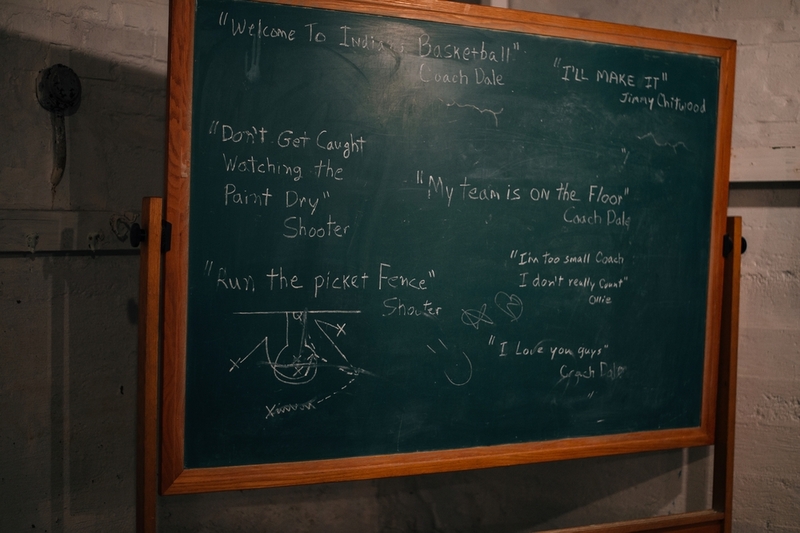 - The Hoosier Gym is in Knightstown, Indiana, where in the film, is where the 'home court' was for the 'Huskers'. But the film was shot in a collection of towns in southern Indiana. However, the film is based on the true life story of the team that won the 1954 state championship out of Milan, Indiana. - There actually is no 'Hickory, Indiana'. - The film's producers chose New Richmond to serve as the fictional town of Hickory and recorded most of the film's location shots in and around the community. - The young men who played the 'Hickory Huskers' in the film were actually basketball players in real life. The director made a casting call for Indiana basketball players and the young guys you see in the film were all ball players, NOT actors ... with the exception of one! - Norman Dale, otherwise known as Gene Hackman smile emoticon would venture into town when he wasn't filming and would visit with the townspeople. He would buy coffee and pie for people and would just sit and get to know folks in the area. - Jerseys from men and women who have played in the gym and want to remain a part of it hang in the locker room! They have games every year and people can come and watch them too! - Every June they have an Annual Hoosiers’ Reunion All-Star Classic doubleheader, which showcases some amazing Indiana high school athletes!